Rental security deposits in the U.S. make no sense. The U.K. found a better way. Landlords in the U.S. have way too much leeway. The U.K. figured out a better way. When Rent.com decided to take a look at the state of the American rental market a few years ago, its poll revealed that more than 1 in 4 respondents currently leasing their residences had lost security deposits to previous landlords. Why? We don’t know. I mean that literally. More than a third of landlords offered no explanation for refusing to return their tenants’ money. As all too many of us know, a tenant doesn’t have many options when a landlord doesn’t return a security deposit at the end of a lease. He can trek to small-claims court or, if the sum is large enough, hire a lawyer to fight the battle on his behalf. Angry or plaintive emails may feel good in the moment, but they’re unlikely to do the trick. You might as well pray to Zeus. There has to be a better way. It’s called a tenancy deposit protection scheme. And all you need to do to find it? Look across the pond. Thanks to legislation passed more than a decade ago, landlords in Great Britain can no longer simply hold on to their tenants’ deposits. Instead, an apparatus exists to take the money and keep it in custodial accounts, not to mention rule on disputes over it when they occur. Here’s how it works: Since 2007 in England and Wales, 2012 in Scotland, and 2013 in Northern Ireland, most landlords are not permitted to keep their tenants’ monetary deposits in their possession. Instead, they need to either place them with government-approved holding agents or, if they do prefer to keep the money in their own accounts, purchase insurance to guarantee the sums. When the lease ends and the tenant moves on, the money must be refunded within 10 days of coming to an agreement over the amount to be returned. If there’s a dispute over whether damages occurred or the cost of the repairs needed, the parties can choose to go to what is called an alternative dispute resolution service, which are run by the organizations that hold the money. They cost nothing but require both parties to agree to be bound by the decision. This prevents prolonged court battles. @thelovecatsinc raise a dispute. Your deposit will be in a protection scheme. Someone independent will decide. Ask 4 ur certificate number. How did all this come about? The original legislation setting all this up was included in a 2004 housing bill and pushed by both low-income housing advocates and, intriguingly, organizations representing college students, many of whom claimed landlords mistreated them. It would be, they said, a win-win. And now? It’s likely the rules are improving the rental experience, though that’s hard to fully prove. We do know that landlords lost a majority of the cases in the first years of the program. Now the number is closer to half. 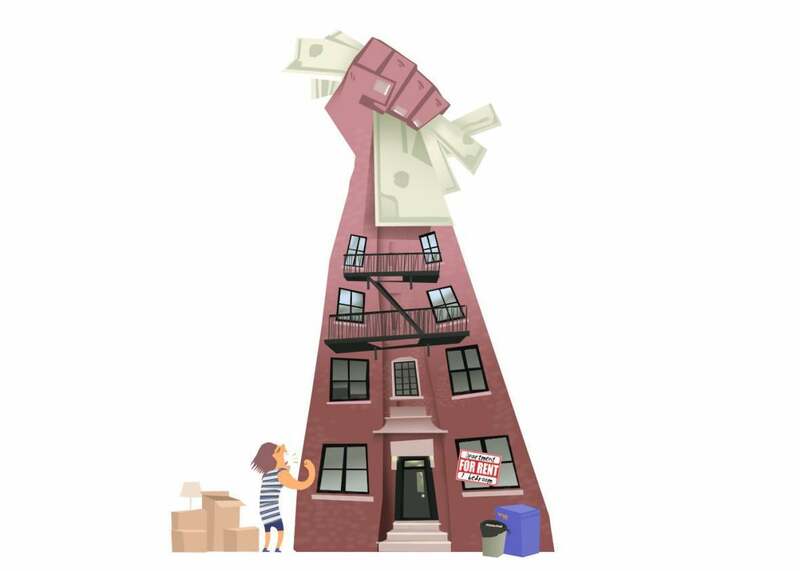 It’s possible the mediators have become more sympathetic to landlords over time, but it’s also likely more than a few bad actors in the business learned the hard way that they could no longer get away with the most egregious of money grabs. That’s not to say things are perfect for Britain’s tenants. They’re not. A recent survey by Weroom, a British site that helps people find flatmates, claims the increasingly expensive and competitive rental market in London is allowing for the re-emergence of rogue landlords. In Weroom’s poll, a quarter of London residents claimed their landlords were not turning the deposit money over to outside authorities, in direct violation of the law. A solid majority also reported problems regaining the entirely of their deposits at the end of their leases. Others report students are still experiencing more difficulty than others. According to recent data from the Deposit Protection Service, one of the three approved providers of escrow services, a little more than a quarter of student renters ever saw 90 percent or more of their deposit money again. Other renters? They had a better than 50 percent chance of getting almost the entirety of their deposits returned. Why students continue to experience more issues is subject to debate. As a writer for the personal finance website This Is Money noted, “The research suggests either landlords see students as a soft touch or students are not fully aware of the consequences of not collectively looking after the property they live in.” As a mother of teens, I’d argue it’s likely both sides are correct here, but that’s just me. And, of course, the law doesn’t ensure people get their deposits back no matter what. A landlord is entitled to keep money if his property is damaged by the tenant—and, not surprisingly, that’s what Weroom’s survey revealed 70 percent of landlords who did not return all or part of the money said occurred. One other issue: Not every landlord needs to take part in the deposit protection system. A landlord who lives in the same house as the tenant can choose to not use one of the sponsored services and retain possession of the money. The ever-growing on-demand economy also remains outside the system, with Airbnb holding onto the deposits of those who rent out properties in the United Kingdom—be they couches in otherwise occupied living rooms or full houses—through their site. Finally, like in the States, the schemes do nothing to stop an even bigger problem for most tenants: increasingly out-of-control rents. In 2013, Scotland’s rental protection scheme reported that 40 percent of all tenants needed to borrow money to pay their security deposits. It’s likely the situation hasn’t gotten much better since then. But it’s Great Britain. It’s different over there. They’re working on it. A number of government agencies now offer loans to employees who need help coming up with enough money to pay their rent deposits. And at least one publicly traded corporation is getting in on it too. Starbucks recently announced it would offer its employees in the United Kingdom who have worked for the company at least a year interest-free loans of up to 1,200 pounds—that’s about $1,800—to help them pay their security deposits. It’s calling the program Home Sweet Loan. The loans need to be paid back by the employees—whether or not their landlords keep the money. This is the first in an occasional series in the Bills on innovative ways other countries handle common dilemmas and issues in personal finance.